Rich in modern recreational facilities and historical significance, Fort Washington blossoms with flowering dogwood in the spring. Fort Washington State Park consists of 493 acres in eastern Montgomery County. It takes its name from the temporary fort built by George Washington’s troops in the fall of 1777, before heading to Valley Forge. The park is popular with hikers and picnickers. 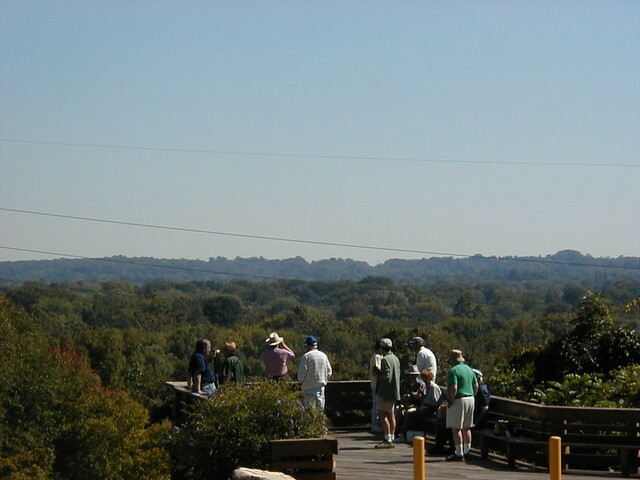 Birders enjoy the seasonal migration of raptors from the Observation Deck. The park lies between the towns of Fort Washington and Flourtown along the Bethlehem Pike. It is about two miles from PA Turnpike Exit 339. Fort Washington State Park participates in a carry-in/carryout trash disposal program. There are no trash collection or recycling facilities. Hunting is prohibited at Fort Washington State Park. Law enforcement officers and individuals with a valid Pennsylvania License to Carry Firearms are authorized to carry a firearm concealed on their person while they are within a state park.